The African continent is naturally blessed with a multi-ethnic culture that has Sports and Games embedded in its core values in a fair and competitive atmosphere. Kings, clan heads, and visitors since time immemorial, were always entertained by young and energetic men in the game of wrestling, with the women and children cheering them on to success. In such gatherings, knowledge was always passed on informally from generation to generation, a sign of togetherness and unity that has inspired the growth of formal federations we now enjoy. The vision of forming FASU can be traced as far back as 1951 when two West African Universities namely University of Ghana and the University of Ibadan, Nigeria in a quest to foster brotherhood and positive competition, started a bilateral annual sporting competition. 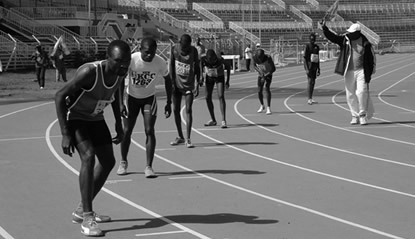 So great were their deliberations that at the 14th West Africa University Games (WAUG) held in the city of Lagos Nigeria, the idea of instituting a body to govern continental University games was tabled. During the 6th Summer FISU games held in Torino Italy in March 1970, Dr. Lateef Adegbite of Nigeria was mandated by the WAUG council to meet all the African heads of delegations and subsequently in 1971, it materialized when thirty one (31) delegates from seventeen (17) universities representing 10 African countries met in LAGOS to form FASU. Like an eagle on its wings. FASU quickly soared to greatness with its first elected president being Professor George Benne from the University of Ghana and Mr. E.T Kodzi also from Ghana as Secretary General.